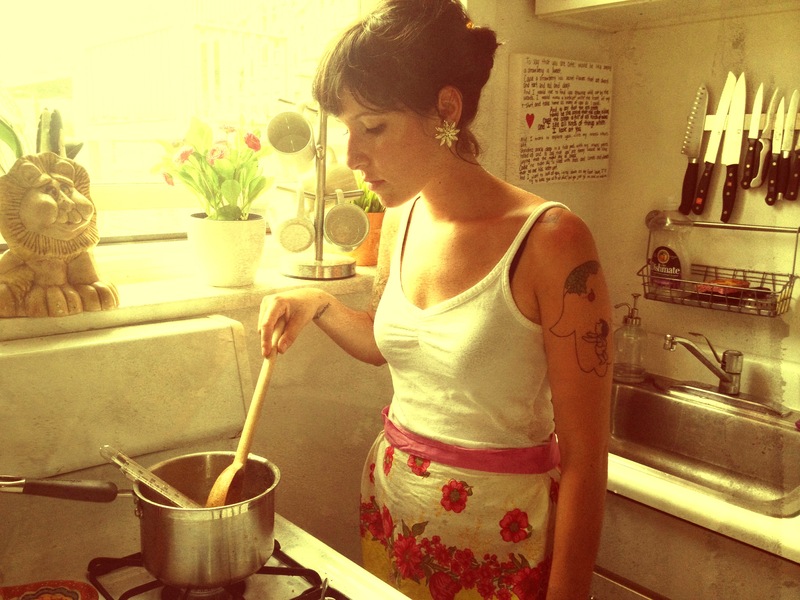 Summer Saturday Cooking | shirley does Feminism. 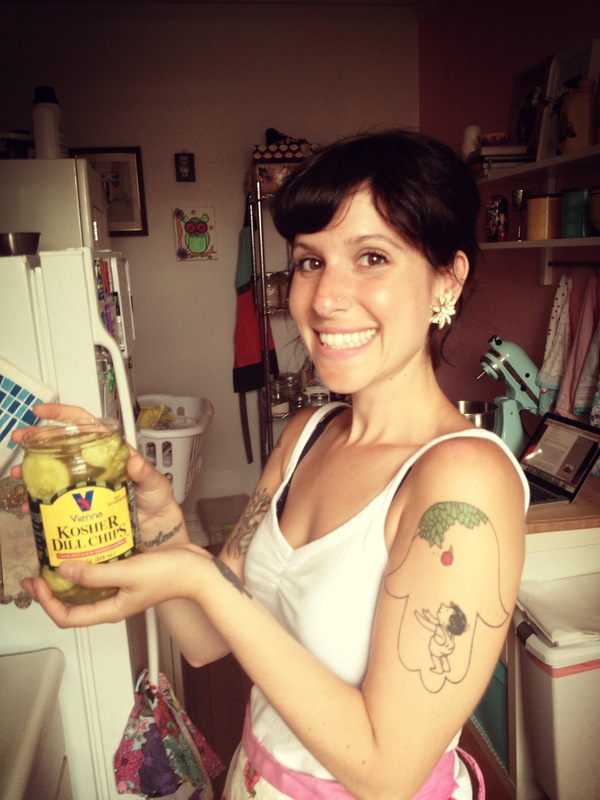 In our house… pickles are a favorite. Stephen often teases me about my love for pickles and often references the “pickle getter tool” my parents had in our kitchen growing up. Side note: My parents had a specific tool that was a claw of sorts, specifically designed to extract pickles from jars… serious business. Hence, we take pickles very seriously in this house. Summer is finally here in Chicago. The humidity and heat are high which means summer foods must be celebrated! 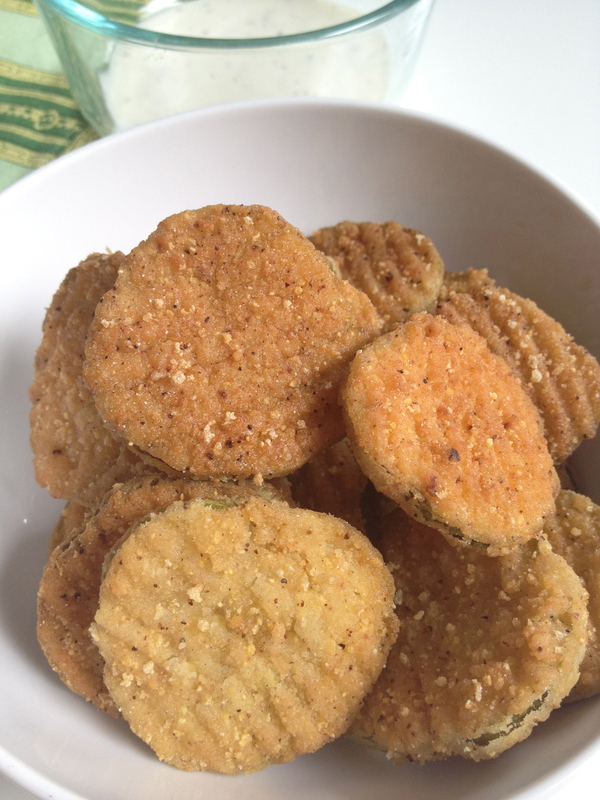 Today Stephen and I strolled the neighborhood when suddenly Stephen had an idea… fried pickles! 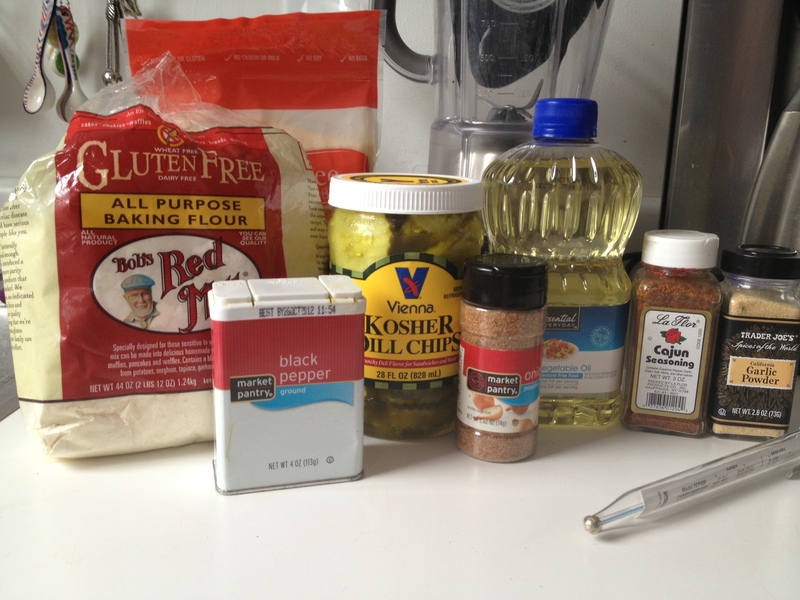 We headed to our neighborhood organic grocery and picked up all of the items necessary to make gluten free fried pickles. 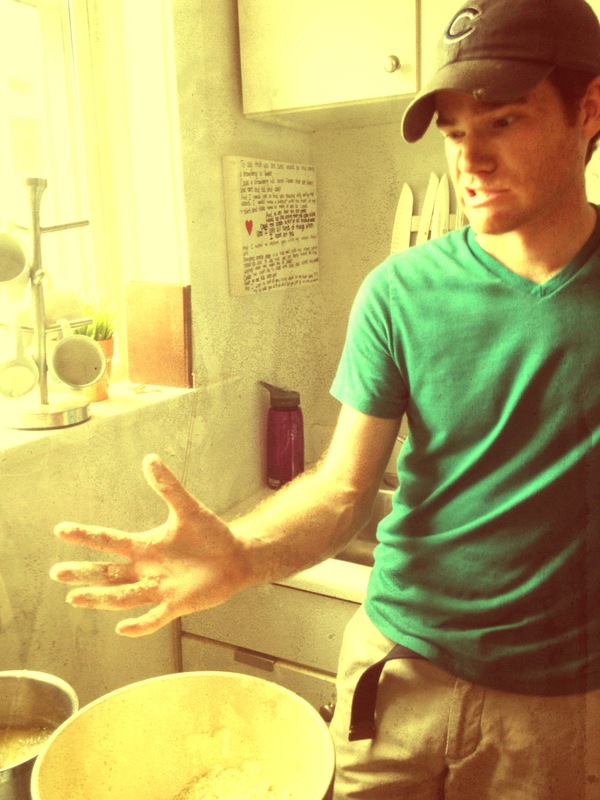 I loved cooking with Stephen. 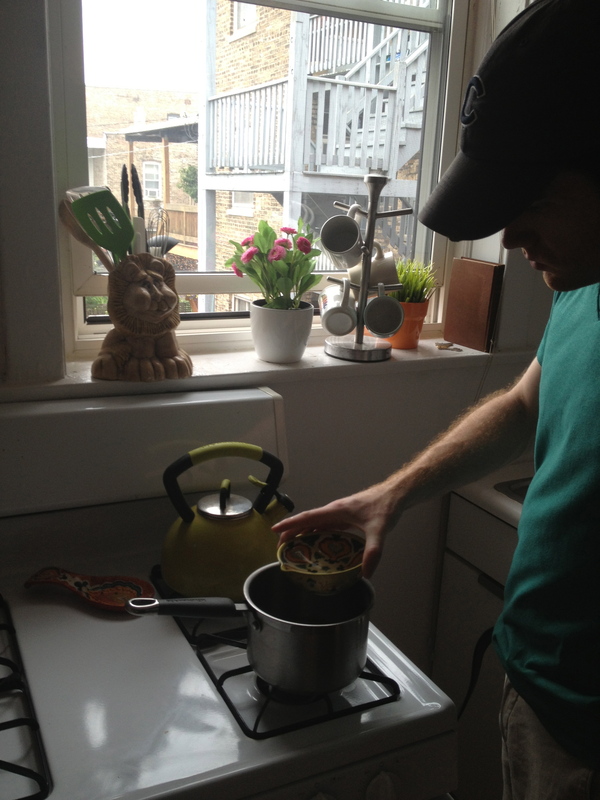 Usually Stephen is my sous-chef but this go around we were equal partners and had a blast. The recipe is easy and considering what other recipes called for its not terrible for you. I rarely (never) eat fried anything but for this special occasion I gave them a try and they were delicious! 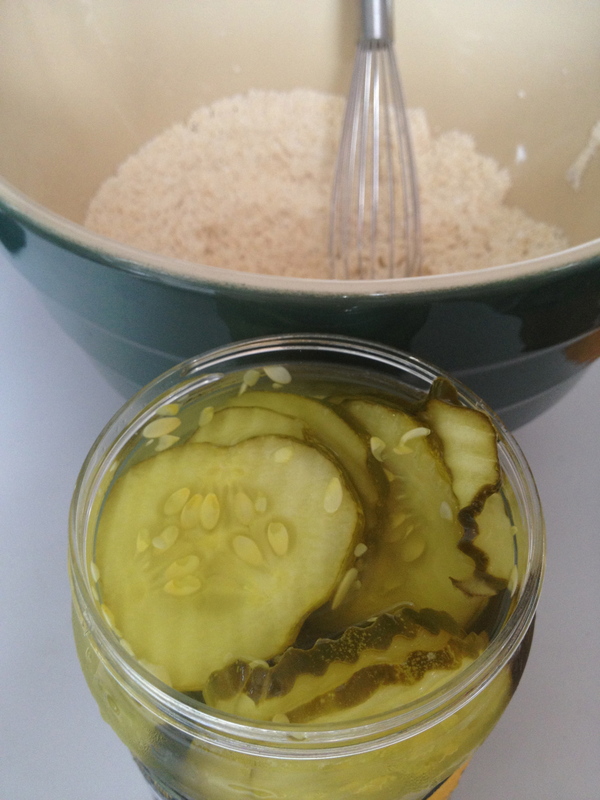 You could also easily bake these pickles to cut down on the oil. 4. Once you coat the pickle toss it into the hot oil. 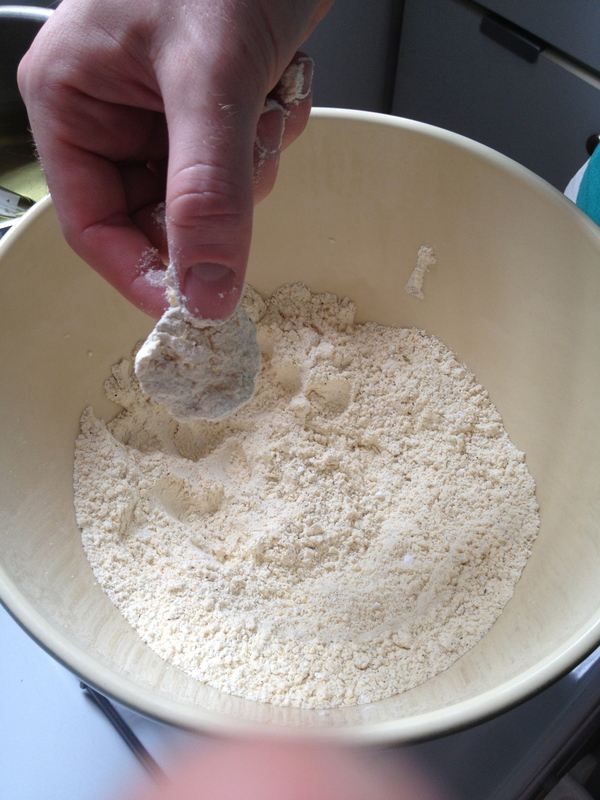 Let it cook until its golden brown (about 30 seconds) and remove with a slotted spoon. 5. 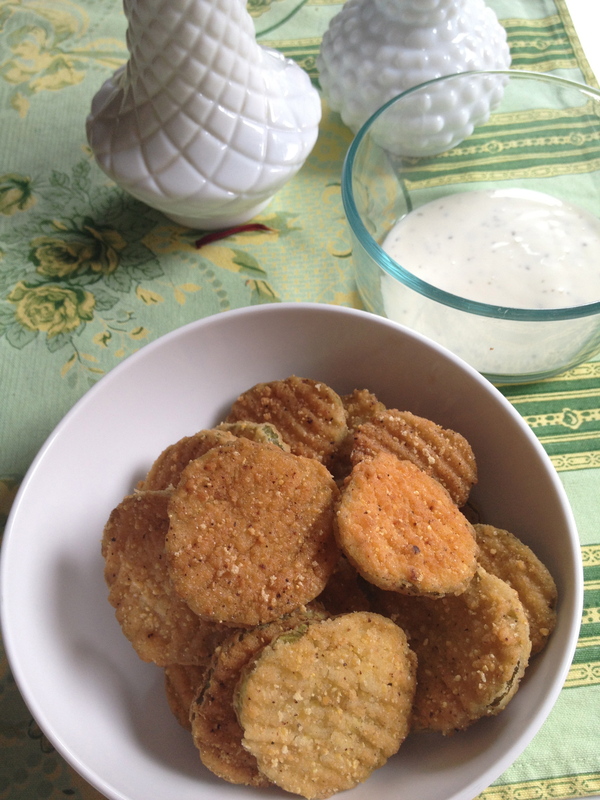 Remove the pickles and place on a plate covered in paper towels. 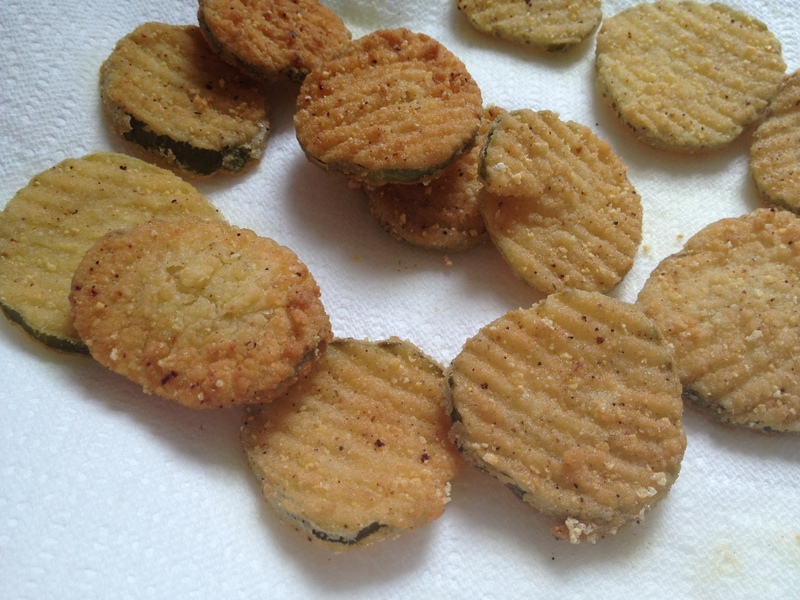 If you wish to get a thicker coat dip the pickle in the batter after its initial frying and then fry again. 6. Serve and enjoy! We used Bolthouse yogurt Ranch for our dip. 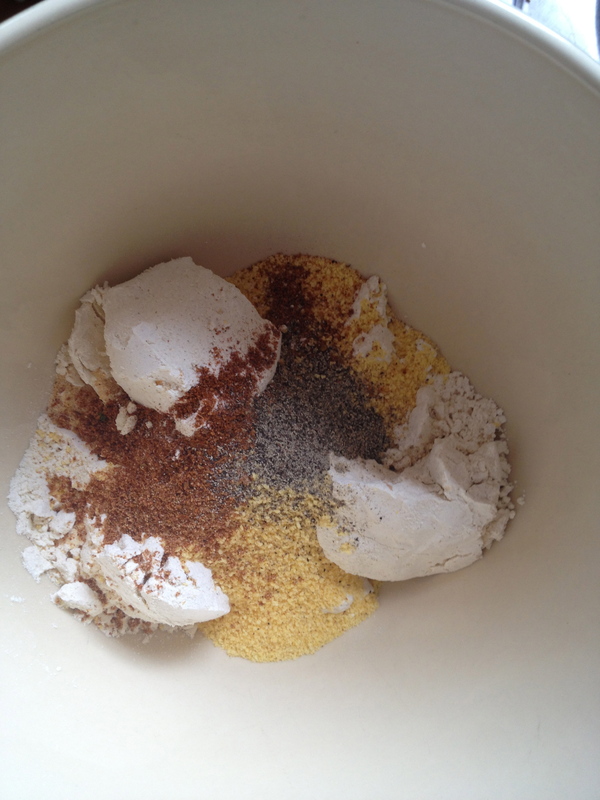 To make vegan mix Veganoise, yellow mustard, and curry powder.